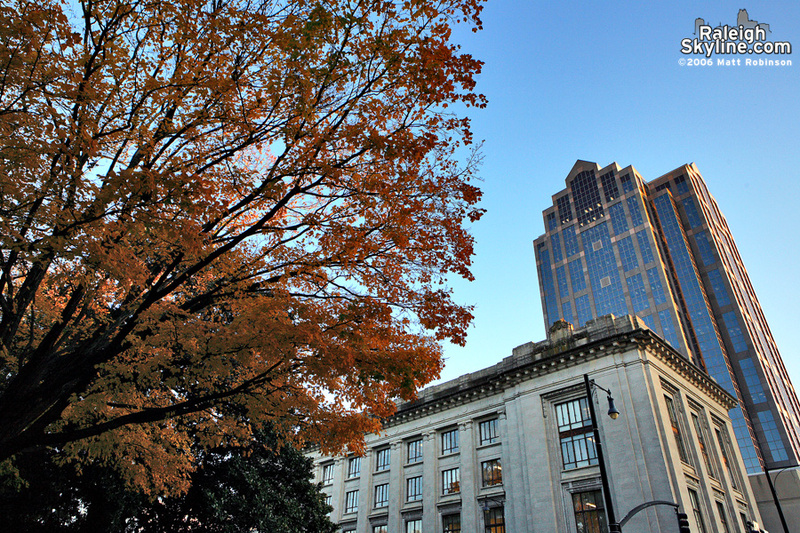 Fall colors arrive late in Raleigh compared to the Northeast, but at least we get them. 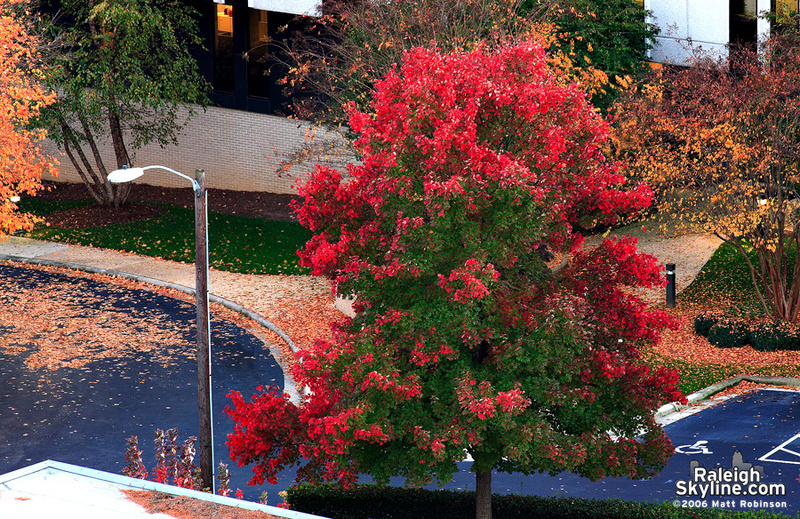 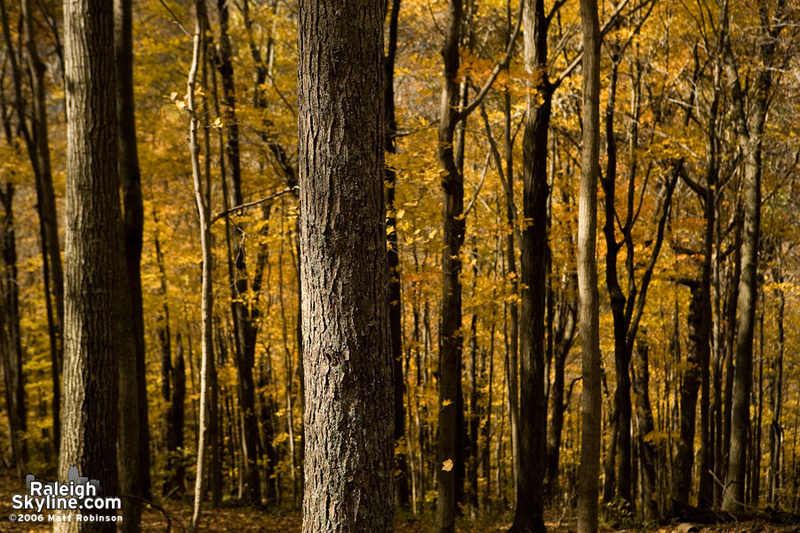 I’ll be updating this page with new photographs while the colors are still around. 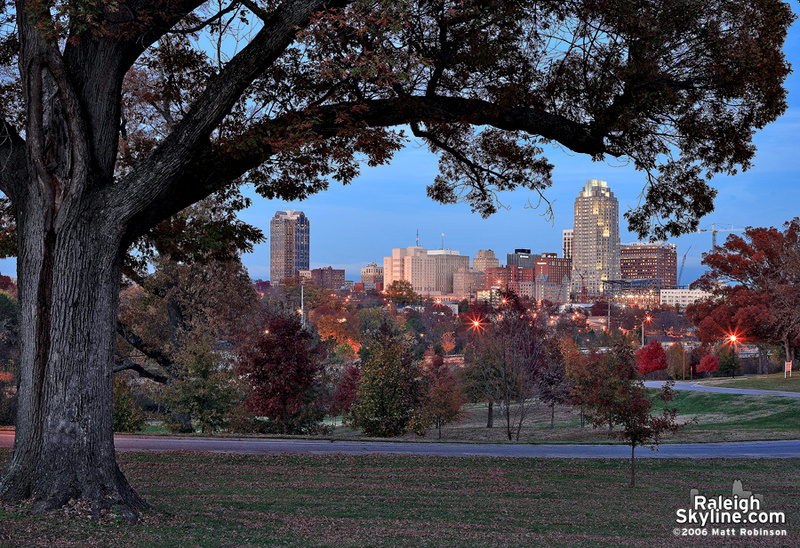 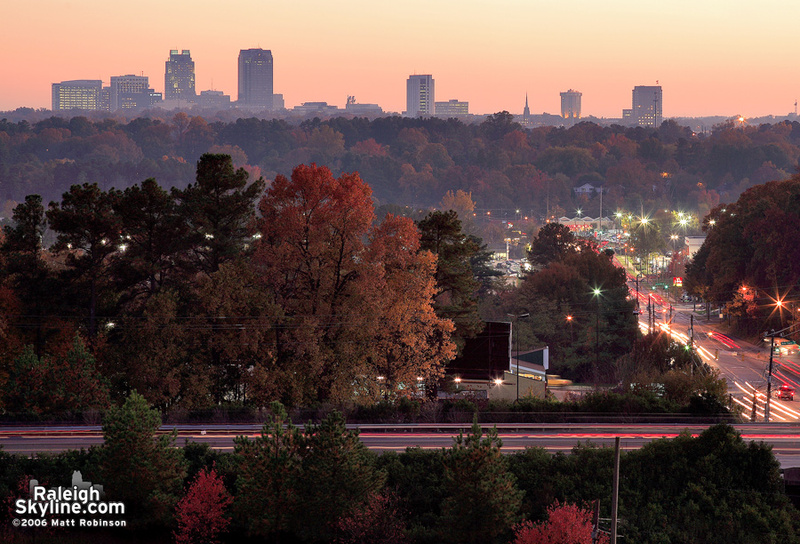 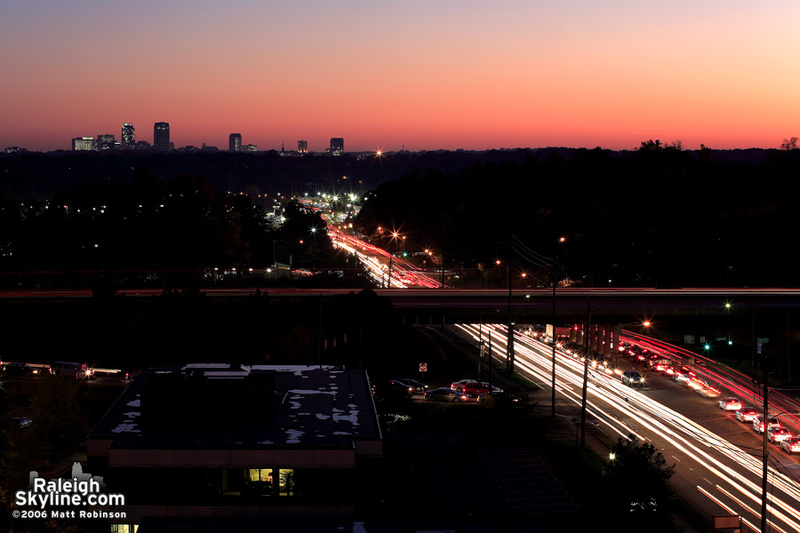 Autumn landscape with downtown Raleigh looming over Wake Forest Road and the I-440 Beltline. 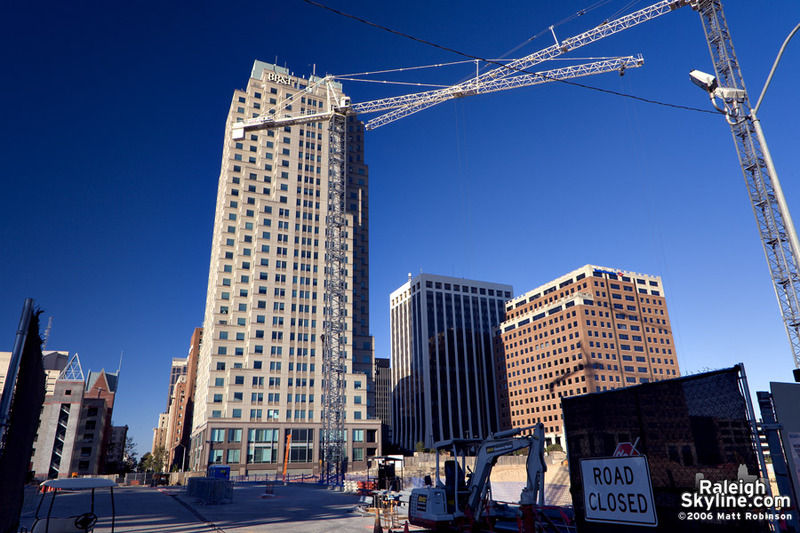 Peeking into Salisbury Street and the site of the new convention center Marriott. 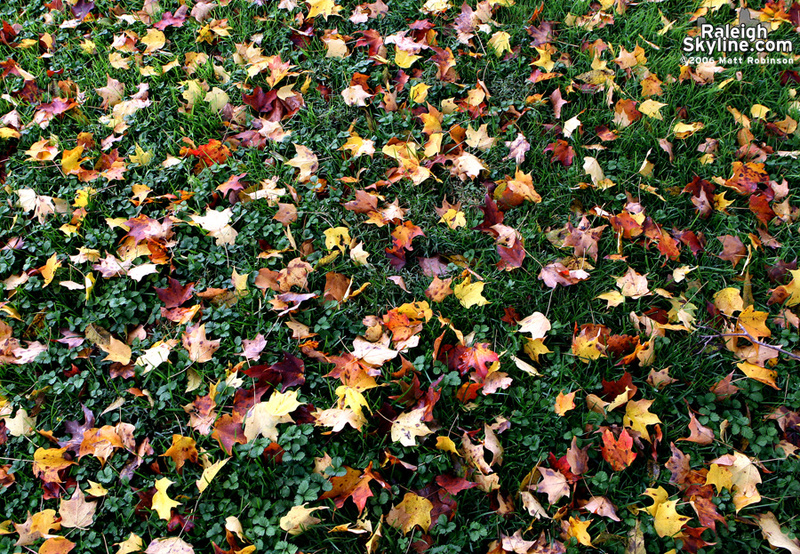 Fall leaves scattered on grass. 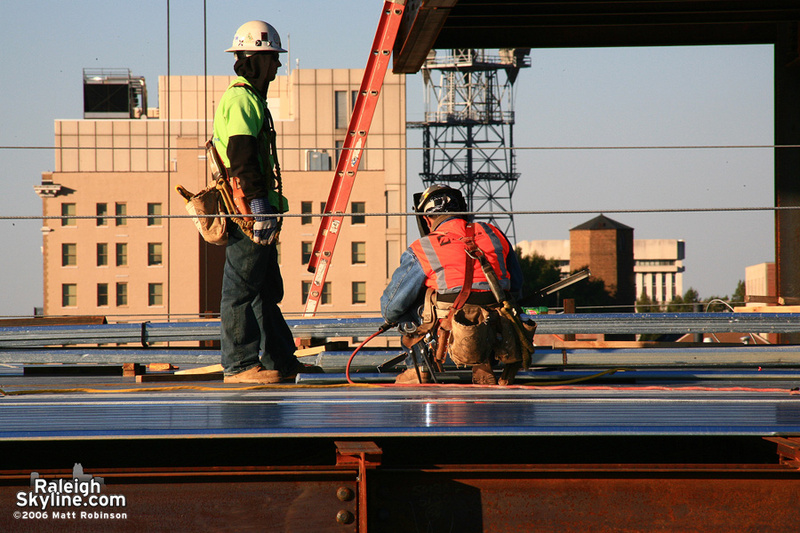 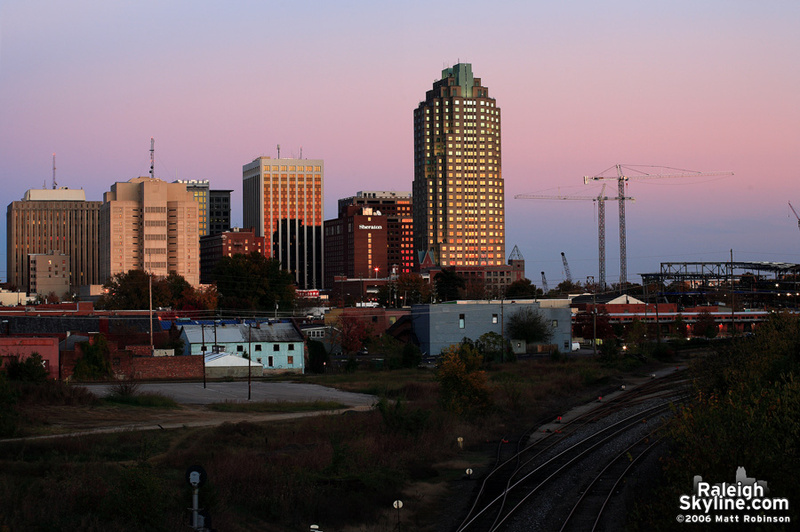 Sun setting on Raleigh from Boylan Avenue with construction cranes. 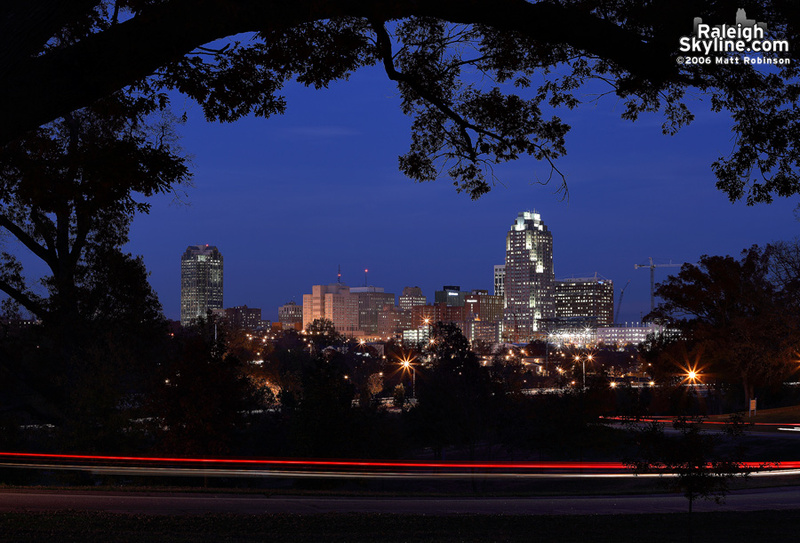 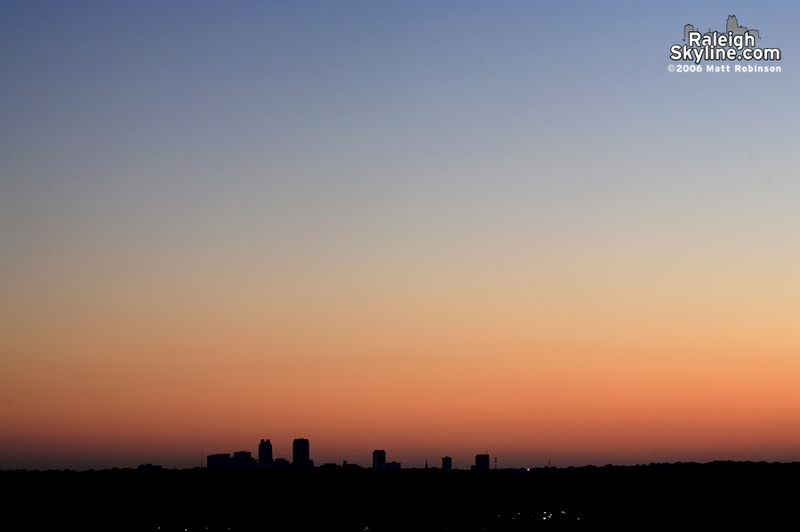 Silhouette of the downtown Raleigh Skyline. 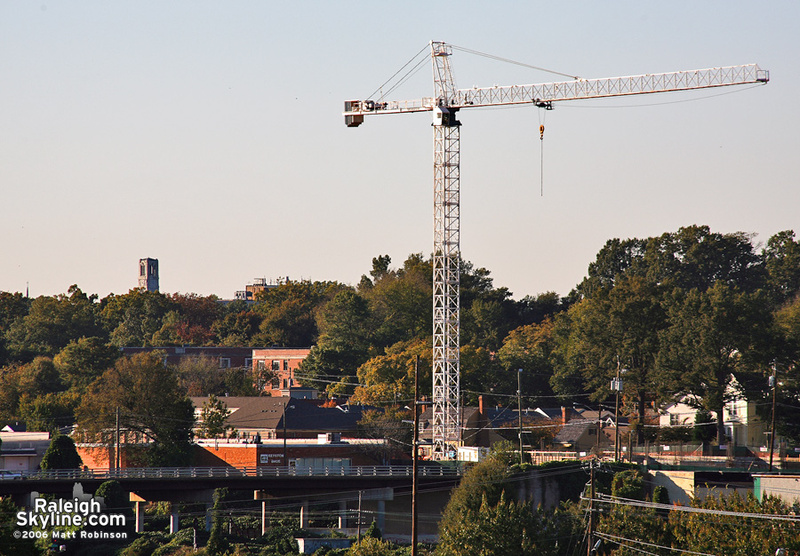 Another construction tower crane for the Bloomsbury Estates. 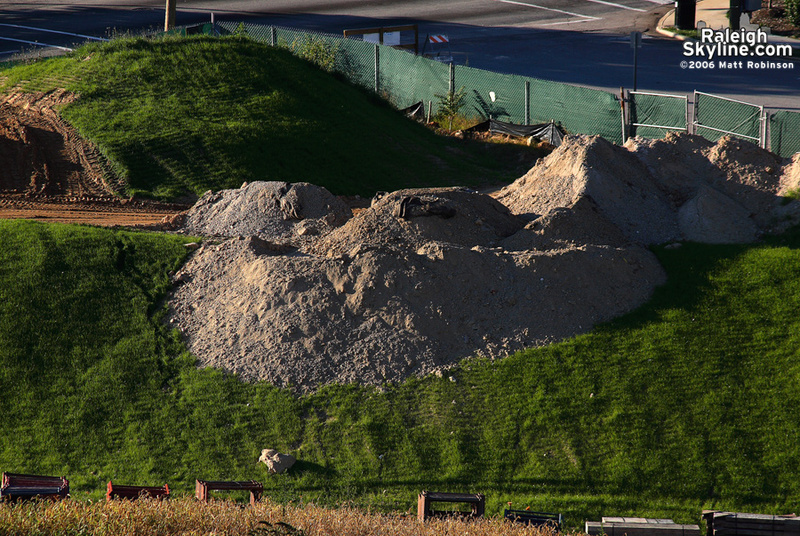 Green grass grows on a pile of construction dirt. 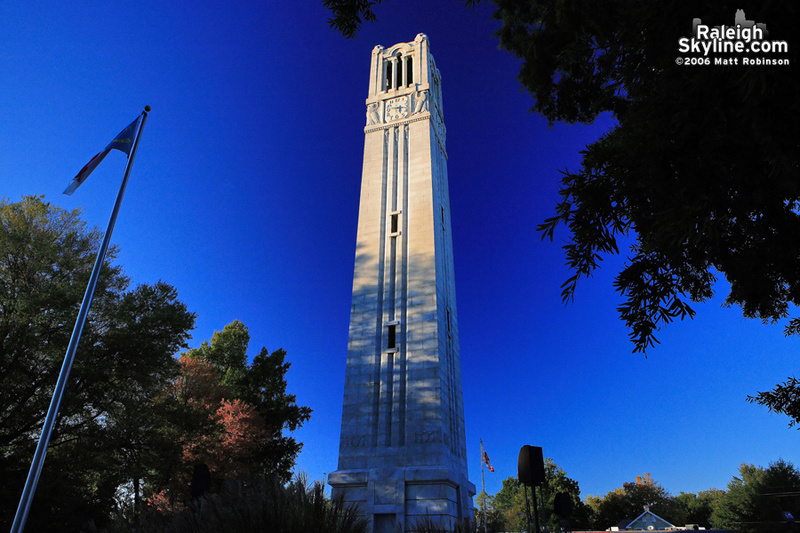 The NC State Bell Tower. 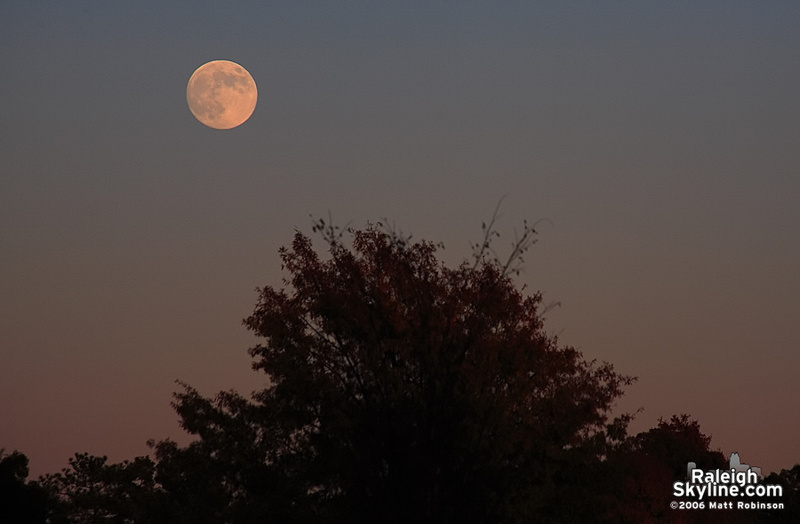 The full moon rising late day. 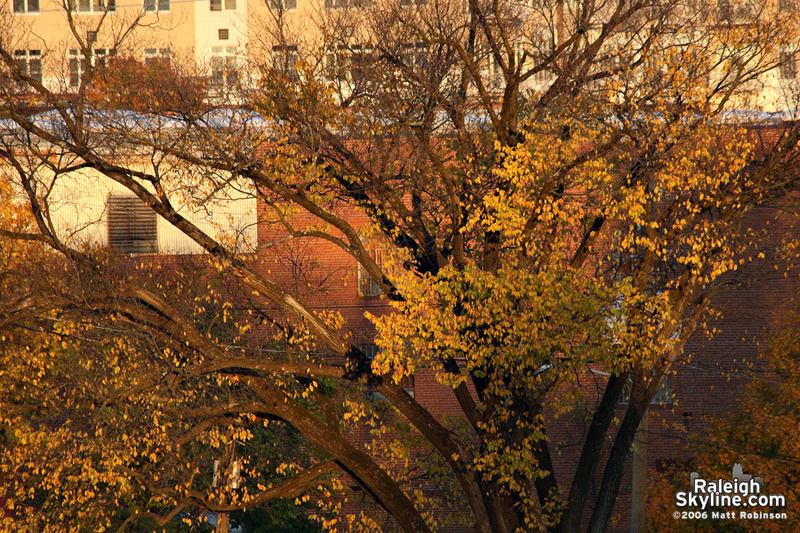 Yellow leaves on the capitol grounds and Wachovia Capitol Center. 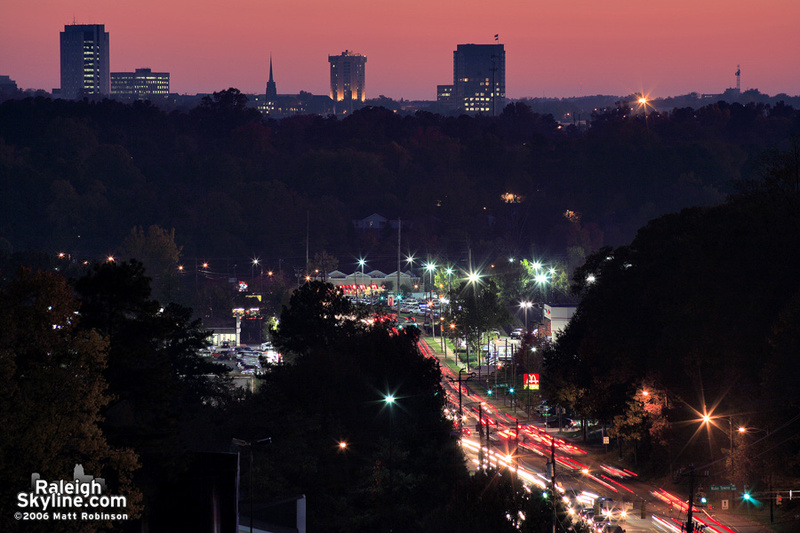 More skyline from North Raleigh. 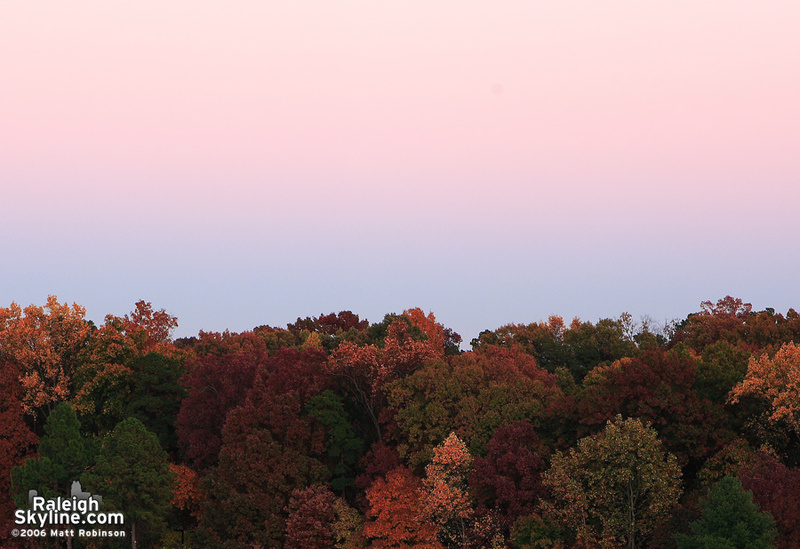 Fall colors and the belt of Venus. 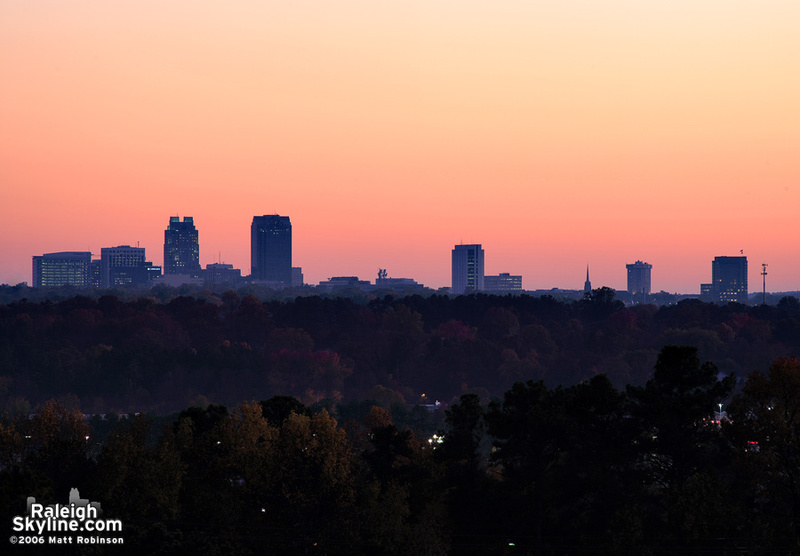 Magic hour from Dorothea Dix. 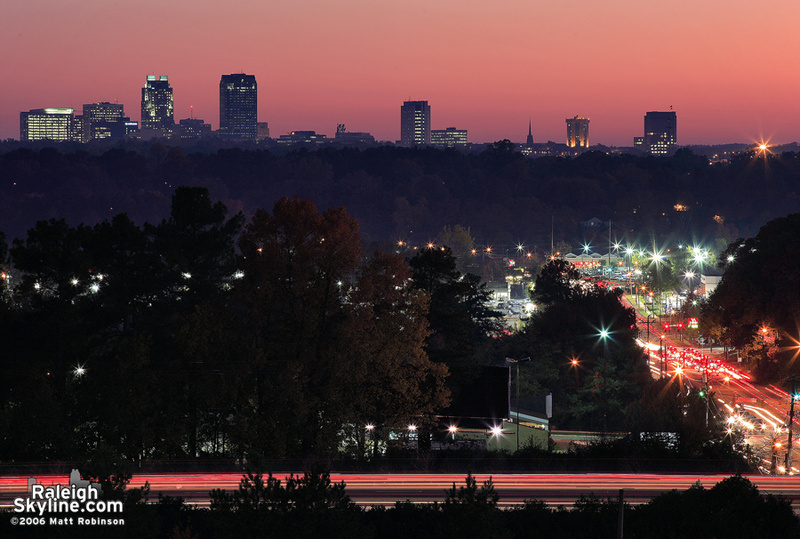 Wake Forest Road beltline interchange. 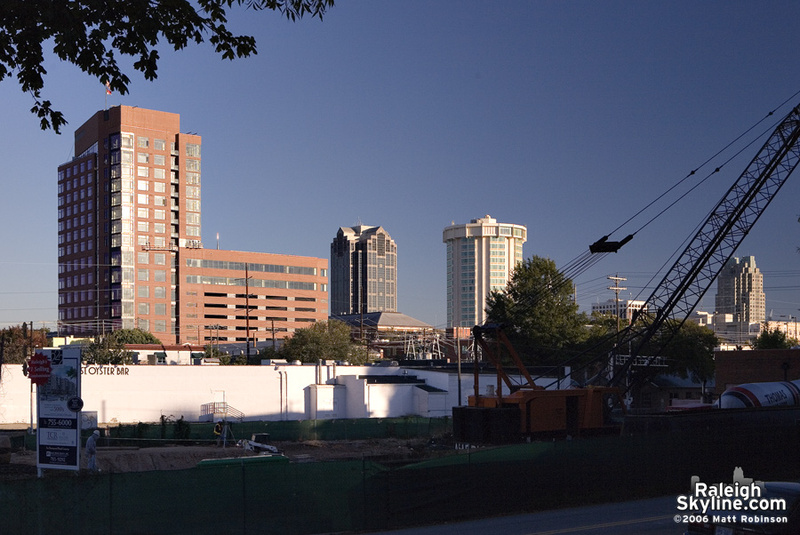 The site of 222 Glenwood with the Quorum Center. 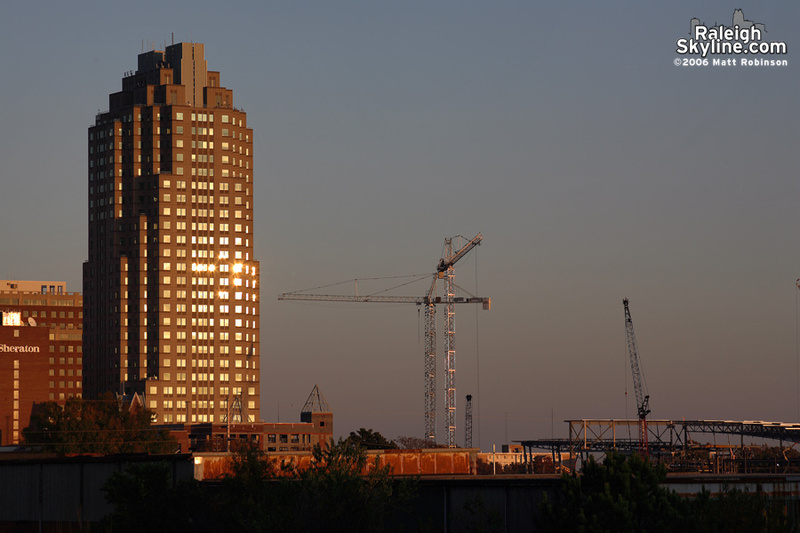 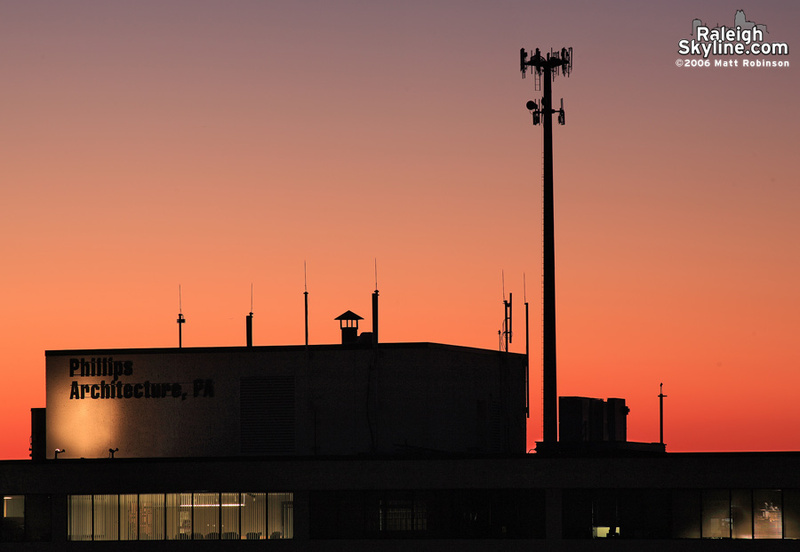 The Archdale Building, Clarion Hotel, and Quorum Center. 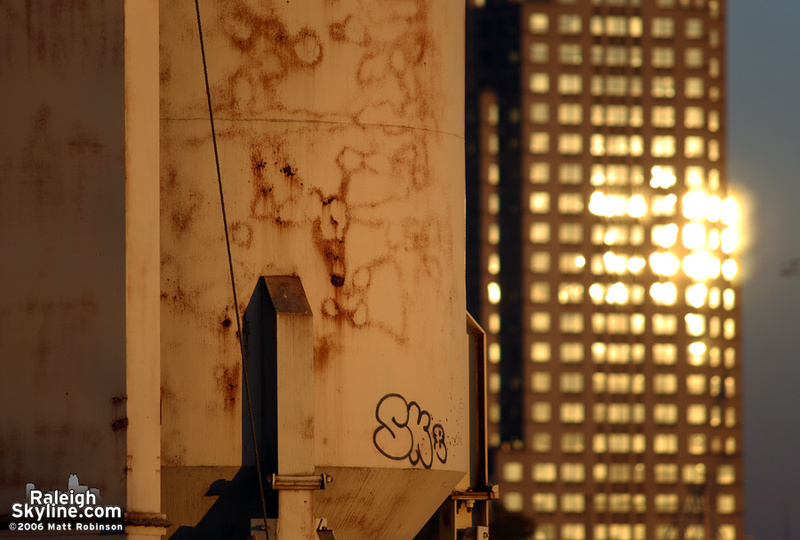 The sun gleaming off of Two Hannover Square. 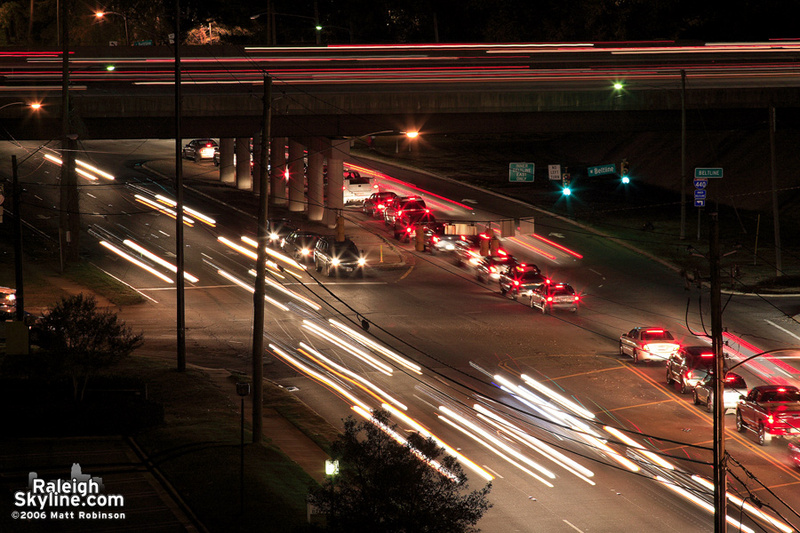 Traffic streams back and forth on Wake Forest Road. 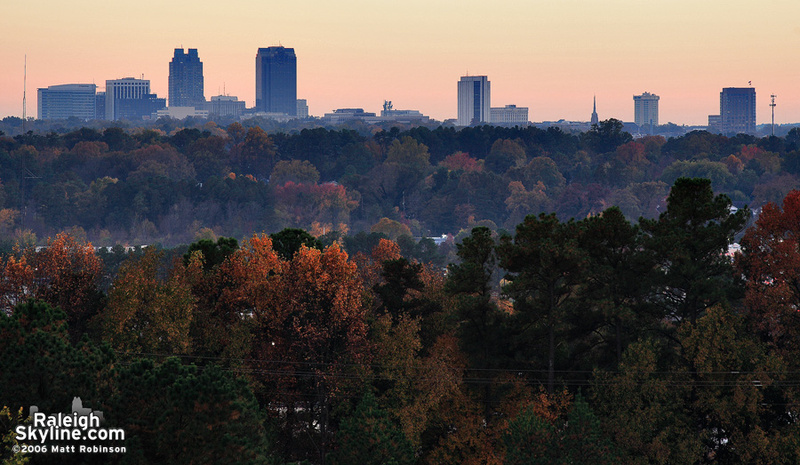 Autumn landscape from Dorothea Dix.